"You underestimate the power of the Dark Side..."
The New Zealand Mint presents one of the most famous antagonist characters of the big screen into a 1 oz Silver Bullion Coin: Darth Vader™. This famous character from the Star Wars™ saga can be now yours! The 2017 1 oz Silver Star Wars™ Bullion Coin – Darth Vader™ is offered by Kitco and you can buy it today. Just add it to your cart! The coin features an officially licensed, close up image of Darth Vader™, which is raised and polished. He is set against a satin matt background featuring the Imperial logo. The reverse also features the metal weight and quality, and it has been stamped with the Lucasfilm copyright and New Zealand Mint logo to provide further authenticity. Limited mintage of 250,000 coins. You can store your 2017 1 oz Silver Star Wars™ Bullion Coin - Darth Vader™ safely and securely with Kitco Allocated Storage. 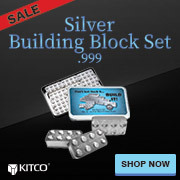 Kitco offers you global options for gold, silver and platinum bullion storage that is fully segregated, insured and allocated. Kitco's network of top-tier vaults includes some of the most secure storage facilities in the world, in Canada, Hong Kong or the United States (COMEX approved). Cayman Islands storage is also available (certain conditions apply). Find out more about keeping your gold, silver and platinum purchases secure, with our Global Precious Metals Storage Solutions.